Is China Ready To Launch Yuan-Gold Fix By April? 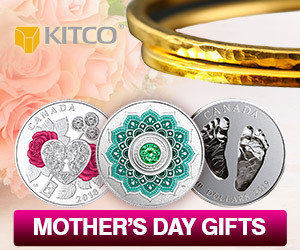 (Kitco News) - While there are still a lot of unknowns and question in the marketplace, it appears that the Shanghai Gold Exchange is preparing to launch a yuan-denominated gold fix within two months. According to media reports, quoting unnamed sources, China is planning to launch its yuan gold fix April 19 and draft rules have been sent to 10 participating banks. However, there has been no official comment from the SGE on the new Chinese gold benchmark. News reports from the summer said that the SGE was planning to have a yuan gold fix up and running by the end of 2015. Although there is no confirmed fixed date analysts are not surprise of an approaching yuan-gold fix as China fulfills its goal to become an international gold-trading hub. Jeffrey Nichols, senior economic advisor for Rosland Capital LLC, said that the fix topic came up during a recent conference in Shanghai earlier in the week. However, he said that no fixed date was actually mentioned. The media reports named the 10 banks that will be the market makers for the fix: ICBC, Agricultural Bank of China, Bank of China, China Construction Bank, Bank of Communications, China CITIC Bank, China Merchants Bank, Industrial Bank Co., Bank of Ningbo and ANZ (China). If accurate, ANZ would be the only international bank participating in the new auction process. Bernard Dahdah, precious metals analyst at Natixis, said that although the idea of a yuan-gold fix has been talked about since early 2015, he has not heard of any official launch date. However, he added that he is not surprised that China is moving forward with its plans to create its own benchmark. “China is the number one gold producer in the world, they are number one in consumption; they clearly have ambitions to be a gold hub,” he said. Dahdah added China, even if it does launch a yuan-gold benchmark, will still have a long way to go to overtake the influences London and New York have in the global gold market. He added that he doesn’t see a lot of international financial institutions participating in the yuan fix. Nichols added that not only is China continuing to develop its own benchmark but Chinese banks are also trying to broaden their international reach, which could eventually lead to arbitrage opportunities between the East and the West. “I think the creation of a yuan-gold fix will make the world gold market a lot more efficient,” he said.